It would be exaggerating to say that all roads lead to Marché Saint-Lin, but not by much. Highways 158, 335 and 339 and traffic coming from or going to Autoroute 25 all converge at this gateway to the Lanaudière region at St-Lin-Laurentides. 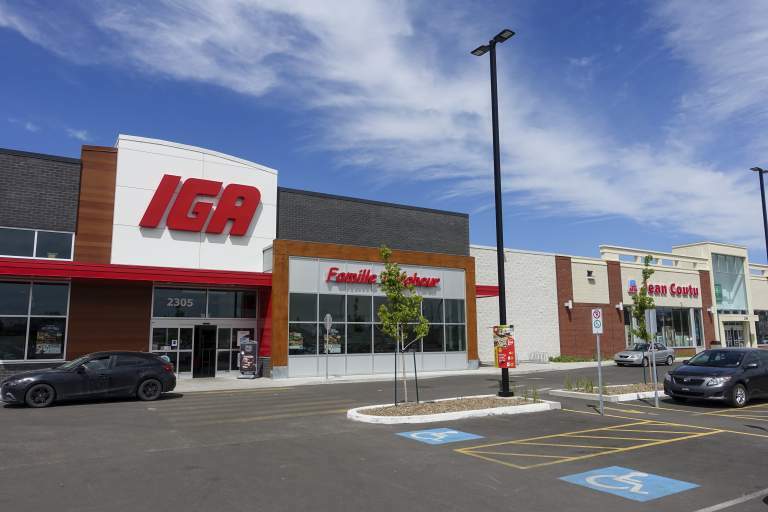 Because of its strong growth of 14.1% in the past and its projected growth of 9% in the next four years, both among the highest rates in the province, the area is highly attractive to retailers looking to reach young, home-owning families and capitalizing on vehicle traffic of more than 17 thousand a day. Need more reasons to look into this retail opportunity? Marché Saint-Lin is the only shopping centre located south of highway 158, where the majority of the city's residential growth is centred and it serves a trading area that includes more than 15 thousand people.